Lot Size: 13,939 sq. ft. Built by Junior Frentzel of D&F Contracting, this amazing 4-bedroom home offers an open floor plan with a Split Bedroom concept and a full FINISHED WALKOUT BASEMENT. The main level features hardwood flooring throughout the great room, dining room, eat-in-kitchen and breakfast nook. 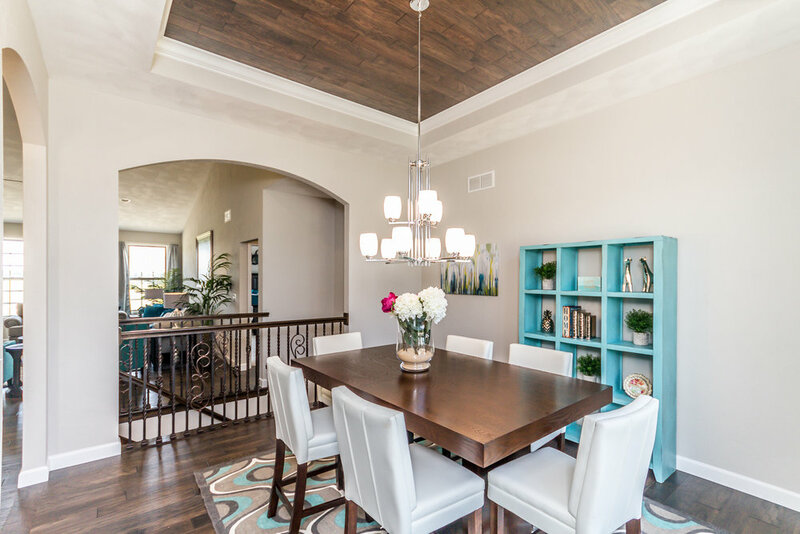 The dining room features wood planked flooring in the coffered ceiling. The great room features a vaulted ceiling and a see-through stone fireplace from floor to ceiling which leads into the large eat-in-kitchen which has soft close cabinets, granite counter-tops, marble back-splash, stainless steel appliances and an 8 ft island with an overhang for seating. The master suite features 10 ft coffered ceilings with crown molding and accent walls, a huge 8 x 11 walk-in closet, a luxurious master bathroom with a separate shower and garden tub, dual sinks and custom vanities. Bedrooms 2 and 3 are located on the opposite side of the house. The walkout basement offers an additional bedroom, an extra large living room, a game room, a full bathroom and lots of extra storage. 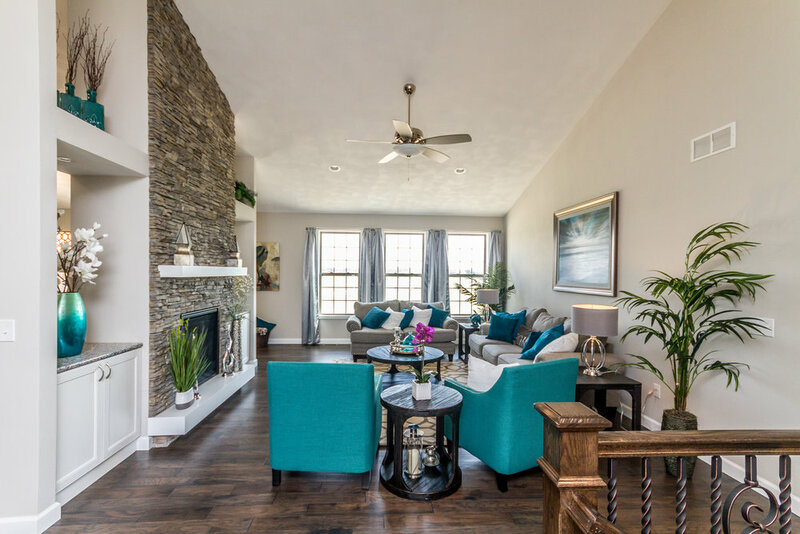 Other features include custom lighting throughout the main level, 3 car garage, cabinets next to the see-through fireplace, glass corner cabinets in the kitchen, deck off the eat-in-kitchen, patio off the walkout basement. Less than 10 min to Scott AFB and close to shopping. O’Fallon Schools. Call today to schedule your showing.